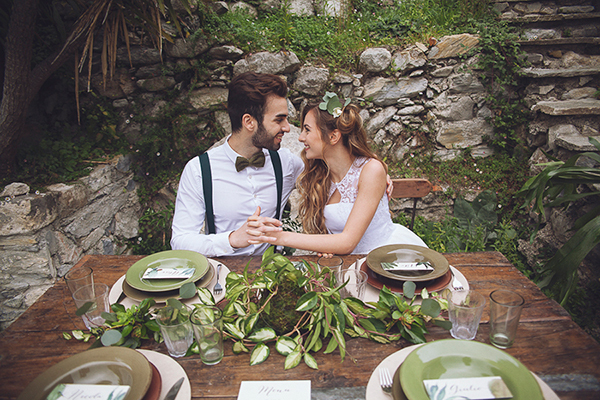 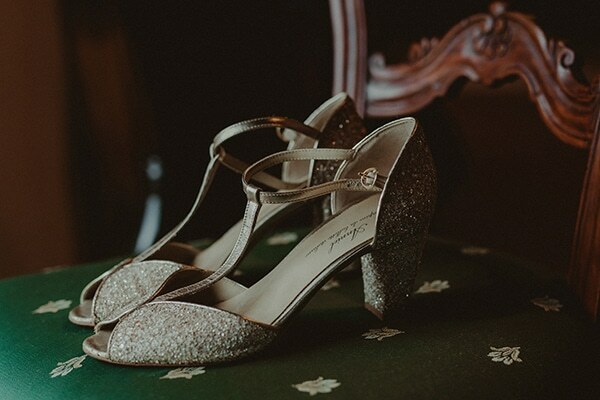 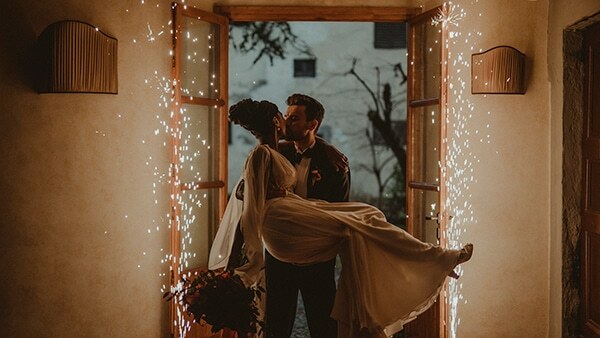 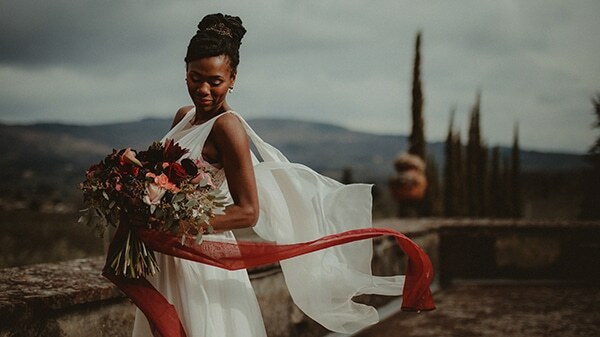 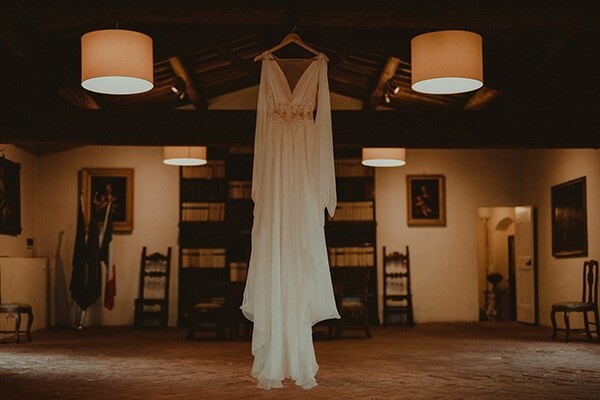 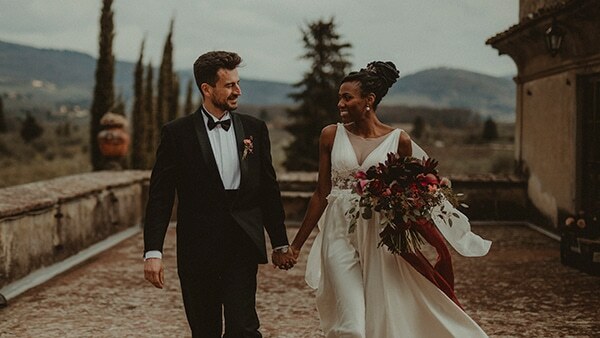 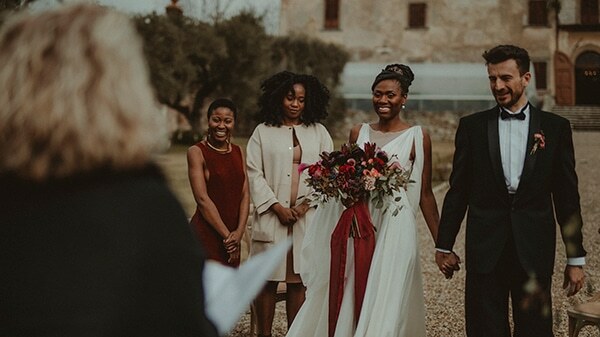 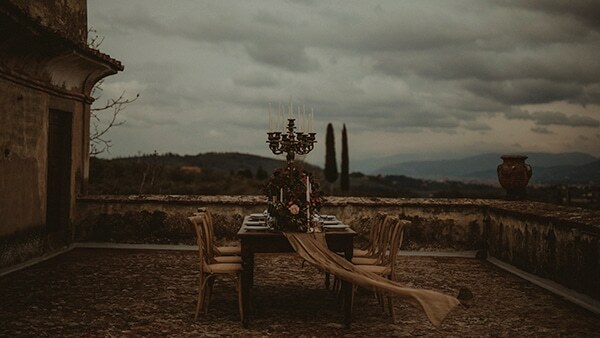 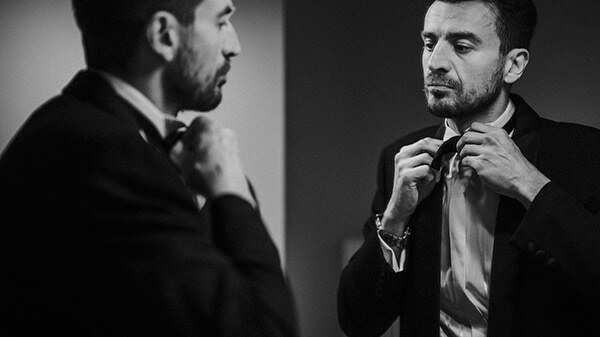 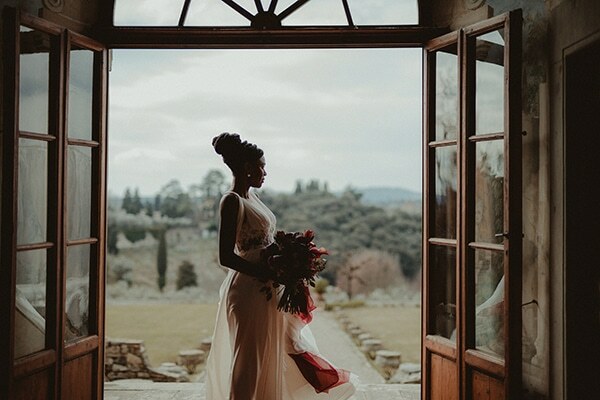 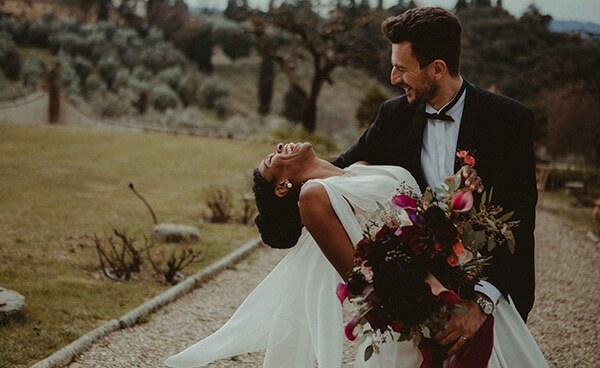 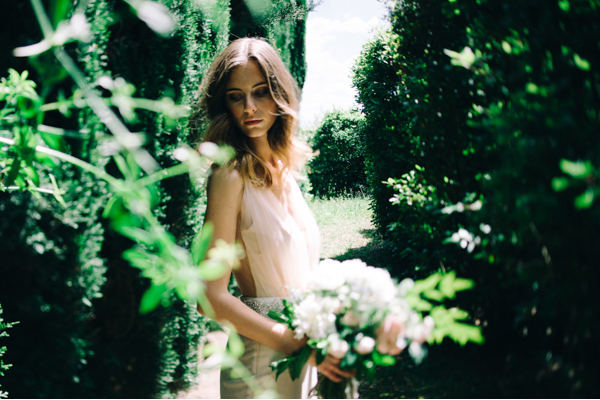 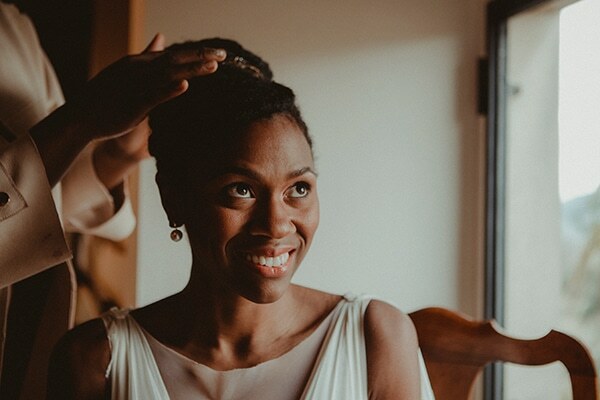 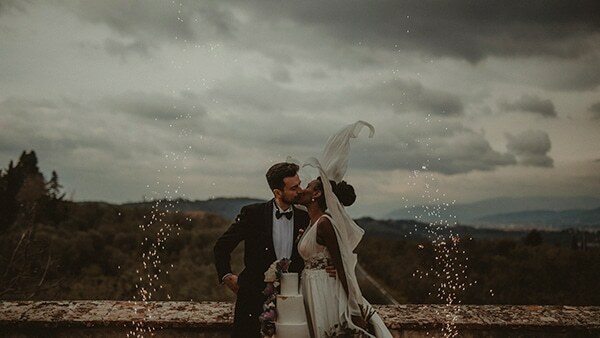 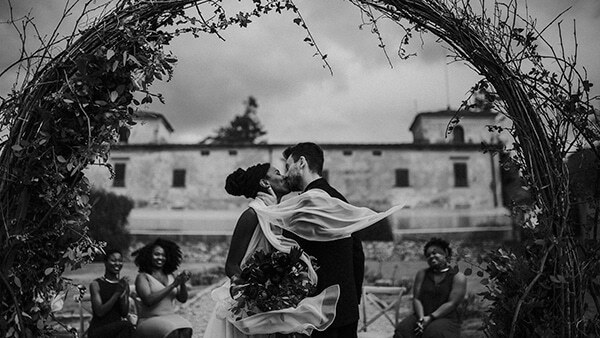 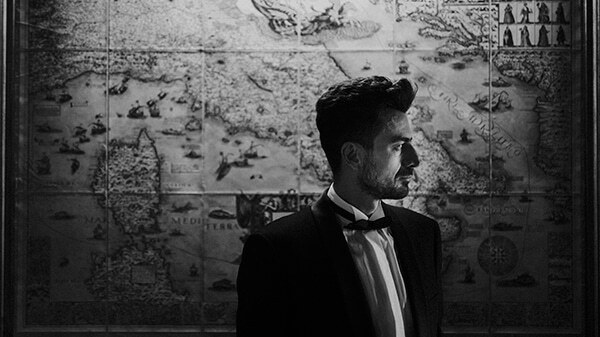 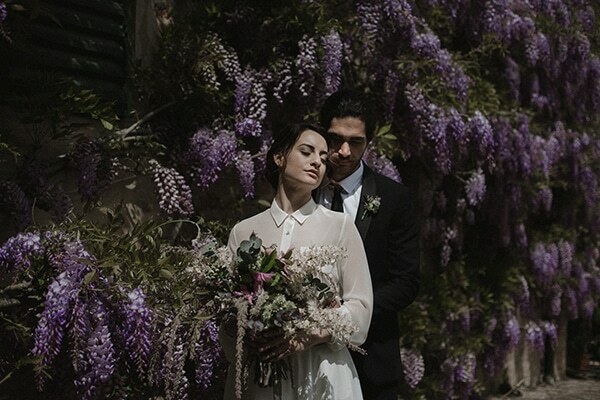 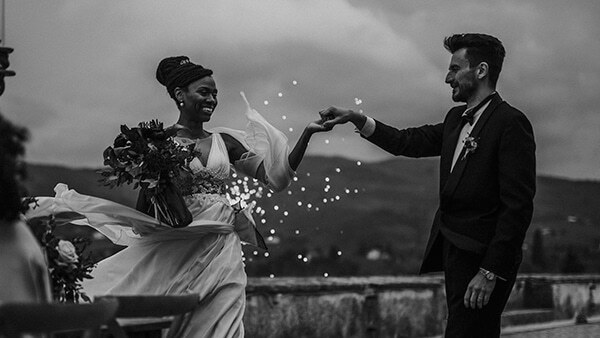 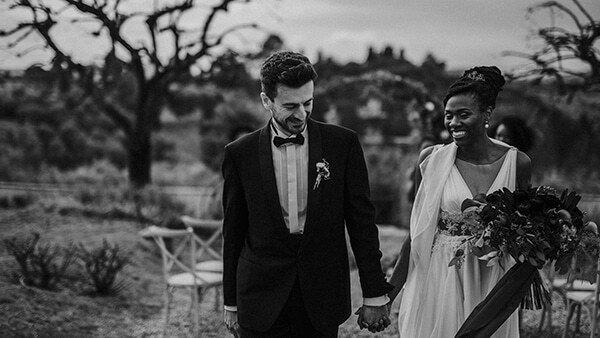 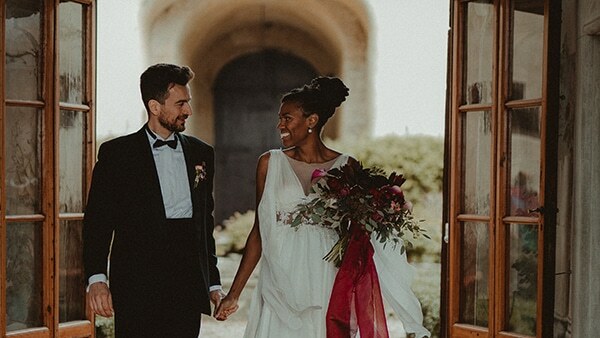 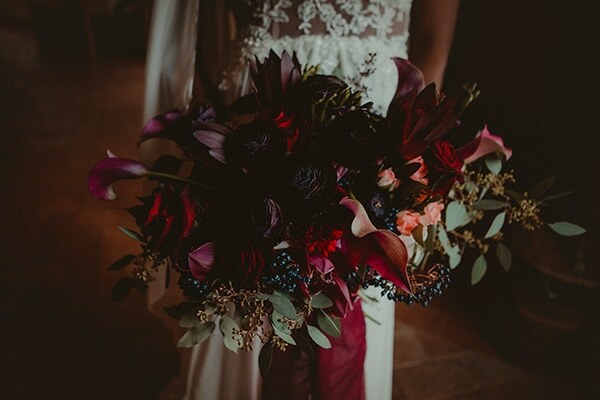 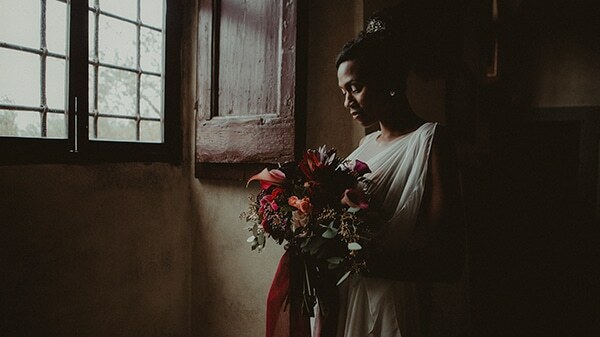 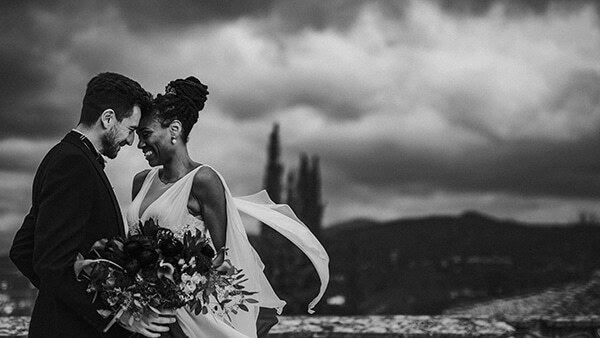 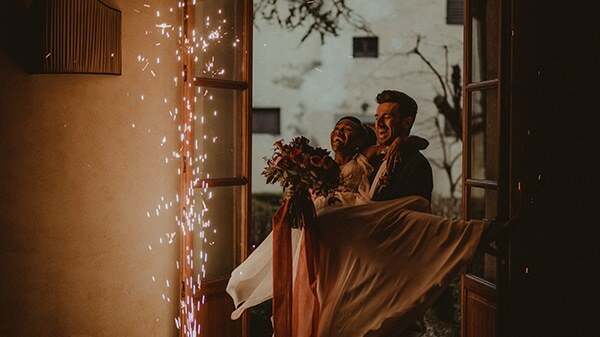 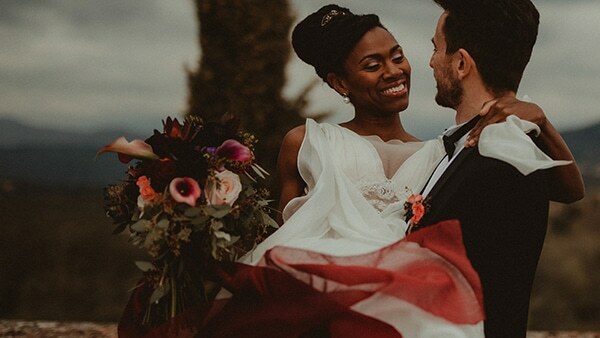 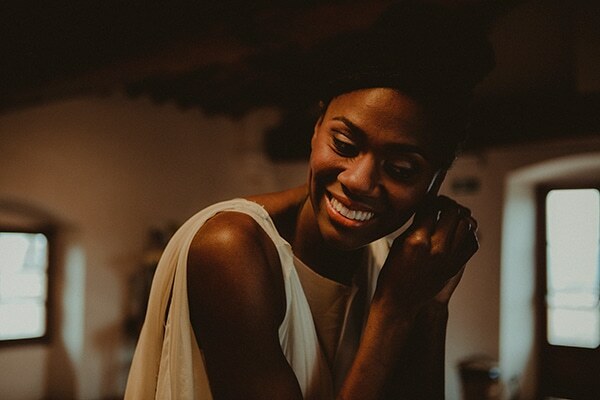 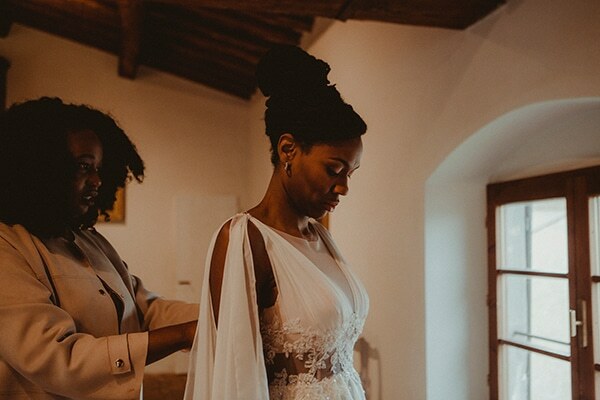 Today we’re sharing with you a unique styled wedding photoshoot at Villa Medicea di Lilliano in Tuscany. 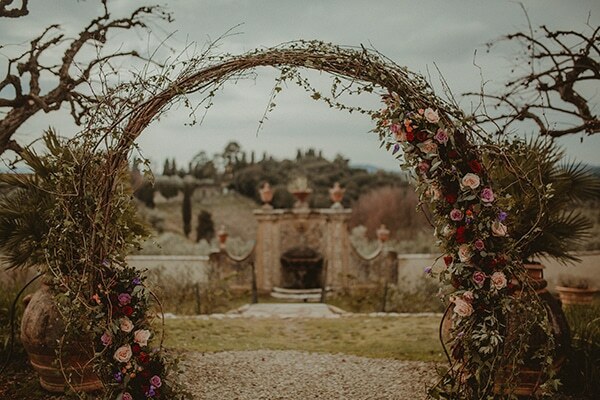 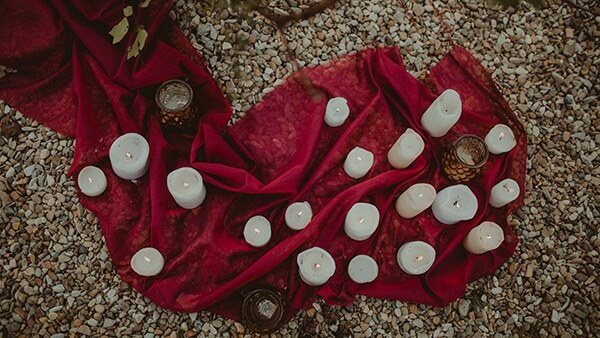 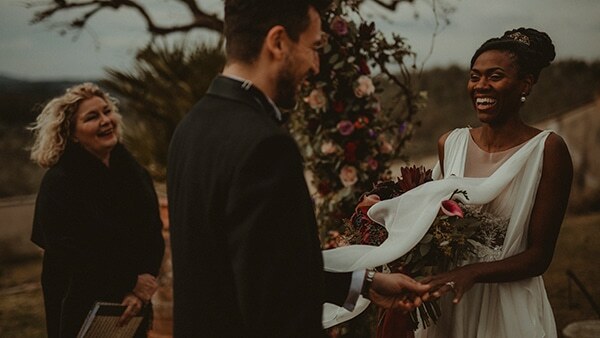 The villa’s garden hosted the gorgeous ceremony which was decorated with many small candles, wooden chairs and an impressive circular arch decorated with branches and flowers in dull hues. 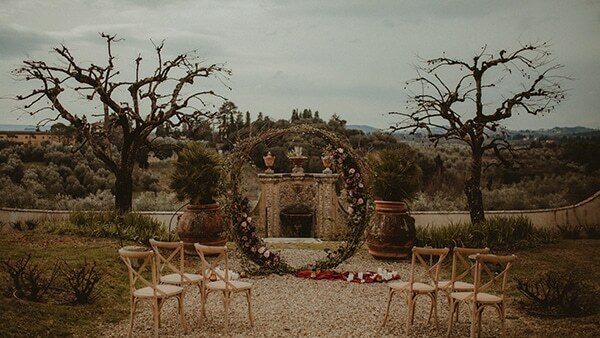 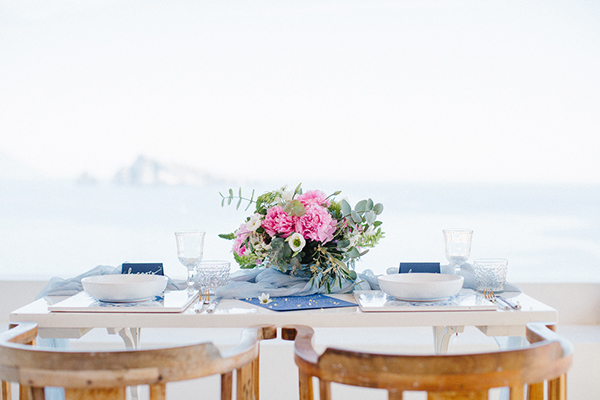 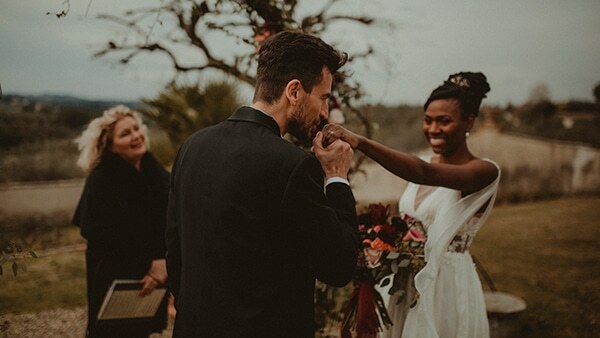 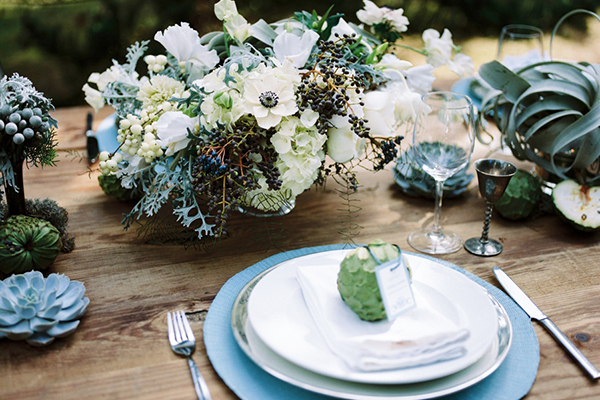 After the ceremony, the couple moved to the veranda of the Villa where a wooden table was waiting for them. 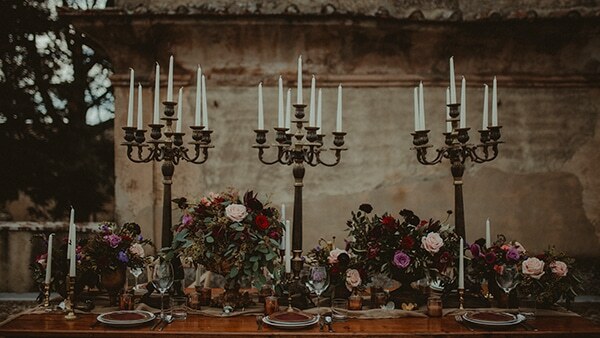 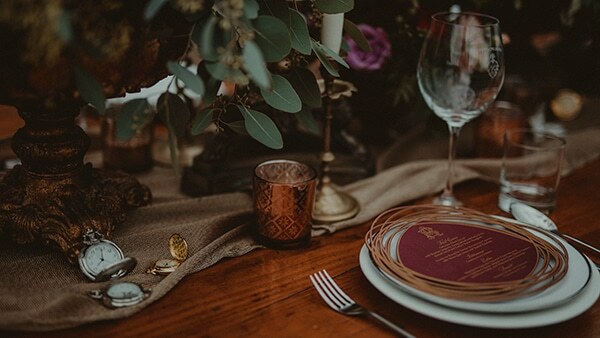 Big, impressive candlesticks, a burlap garland, many flower bouquets and copper touches were the main details of the table. 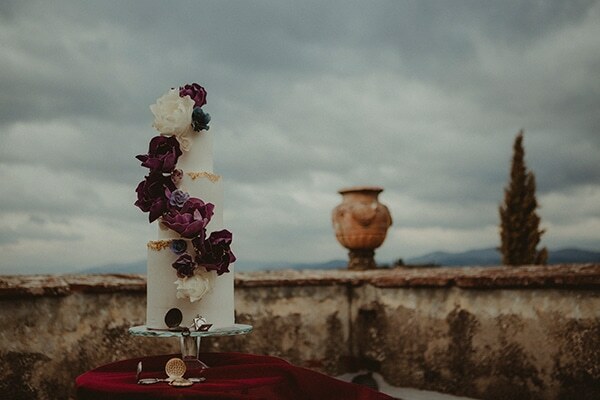 What to say about the incredible wedding cake with the huge flowers in purple, lilac and white tones… Get lost in this cloudy beauty through the following images by Studio Fotografico Bacci!